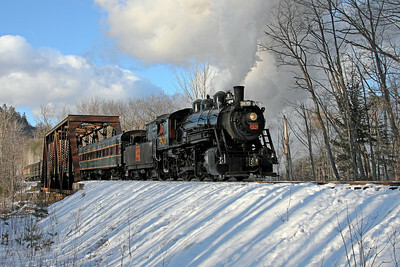 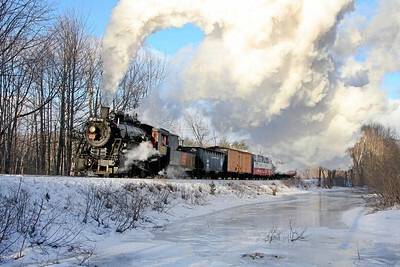 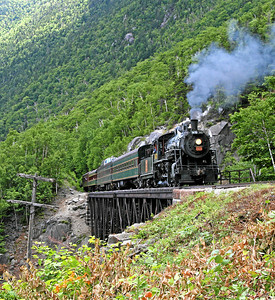 Conway Scenic Railroad 0-6-0 #7470 crosses 94-foot high Willey Brook Bridge with the Massachusetts Bay Railroad Enthusiasts Steam Through The Notch special. 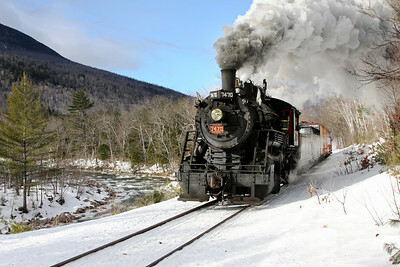 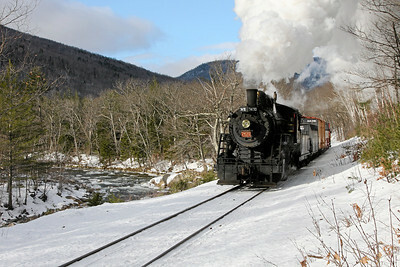 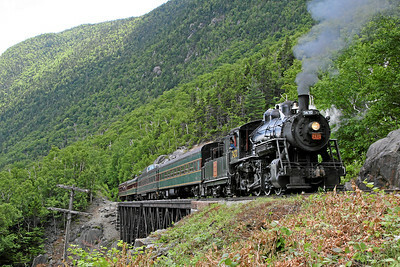 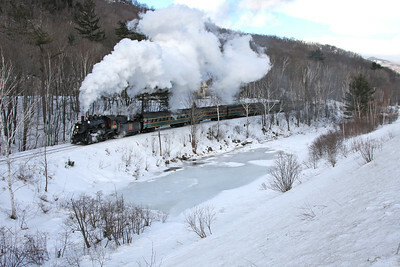 This was the first time since 2001 that steam climbed the 2.2% grade through Crawford Notch on the 28-mile route from North Conway to Fabyans. 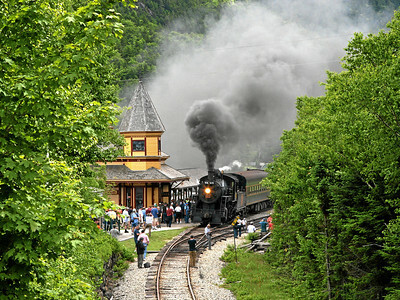 A crowd is gathered at Crawford Notch Depot to watch the arrival of Conway Scenic Railroad 0-6-0 #7470 with the Massachusetts Bay Railroad Enthusiasts Steam Through The Notch special from North Conway en route to Fabyans. 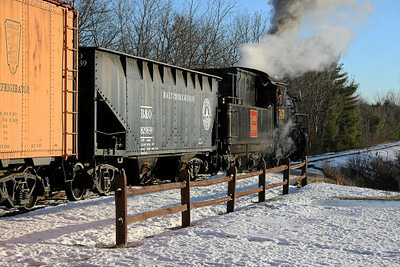 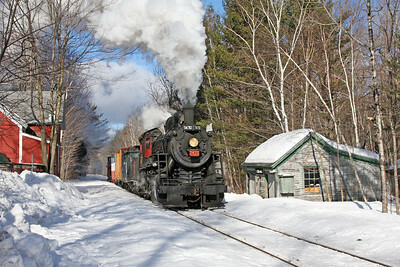 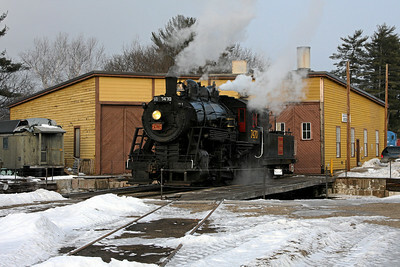 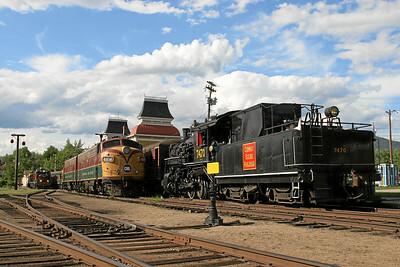 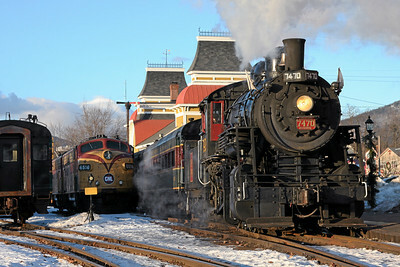 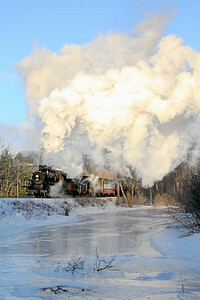 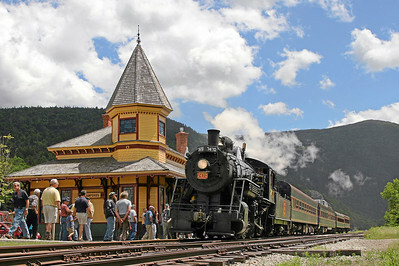 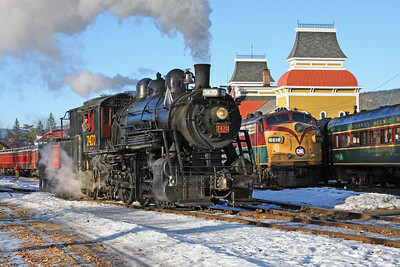 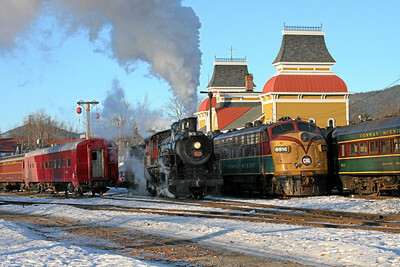 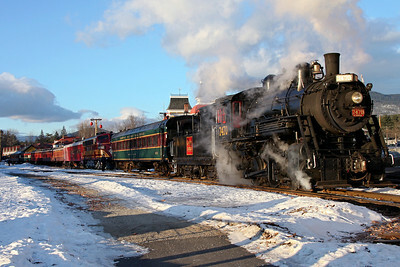 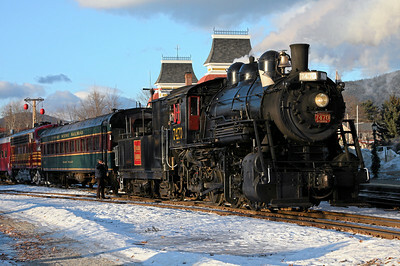 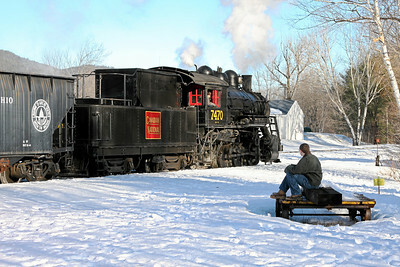 The Massachusetts Bay Railroad Enthusiasts Steam Through The Notch special stops at Crawfords to take on water and give passengers the chance to explore the depot. 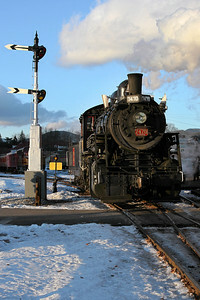 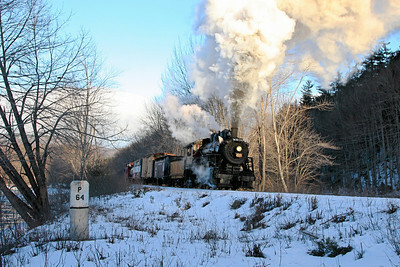 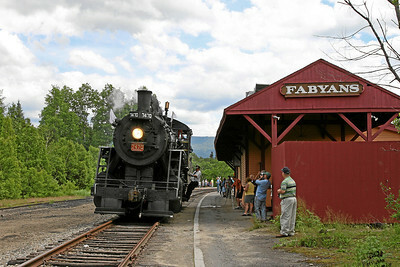 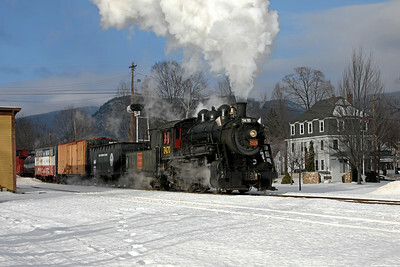 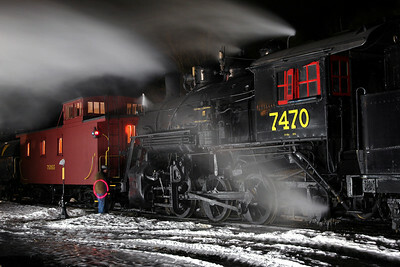 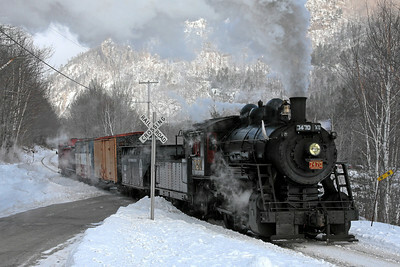 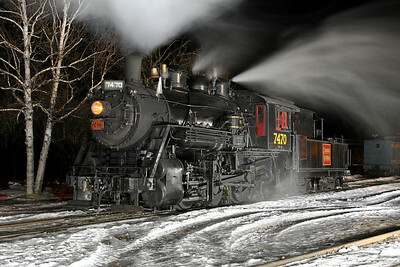 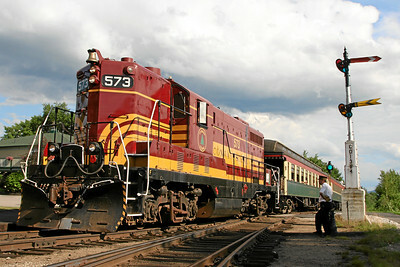 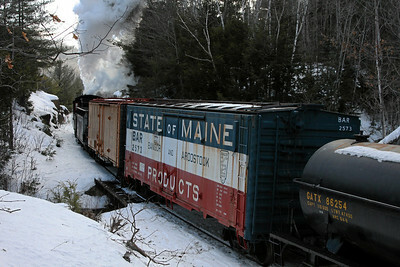 7470 is typically run in summer and fall on the Conway Scenic Railroad Valley Train between North Conway and Conway. 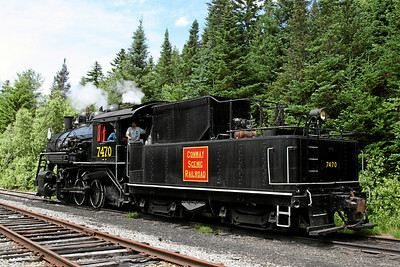 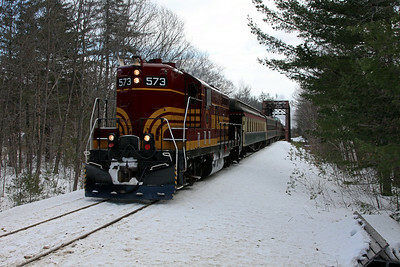 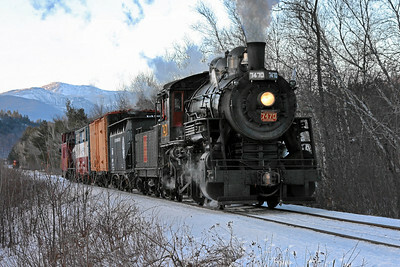 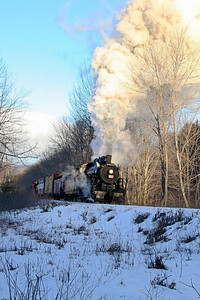 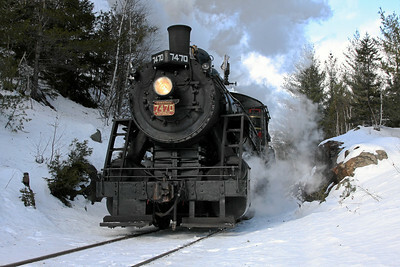 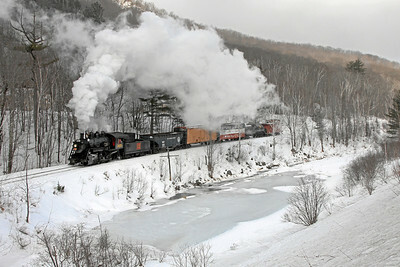 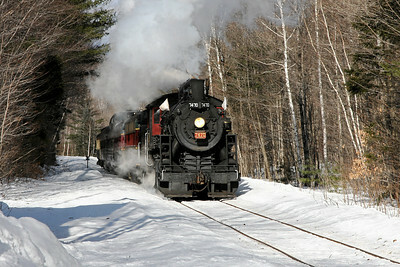 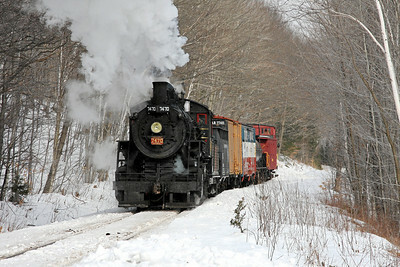 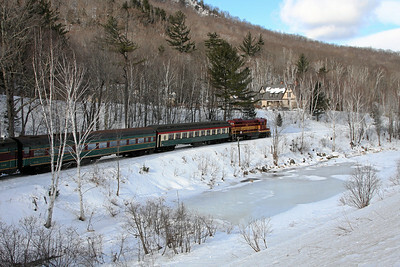 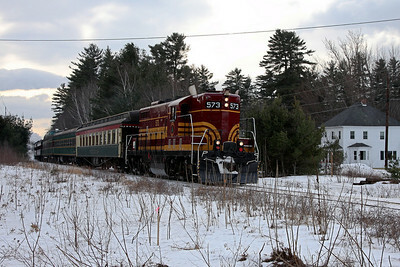 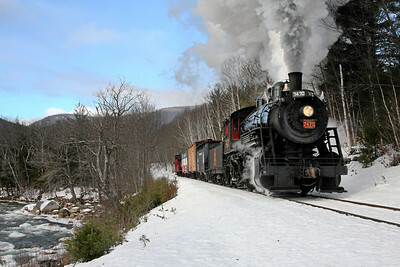 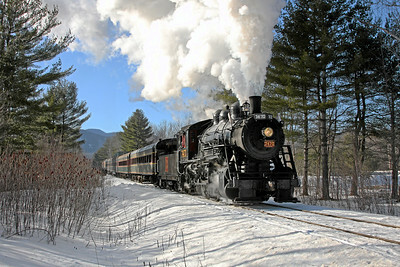 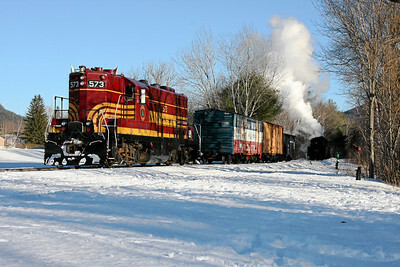 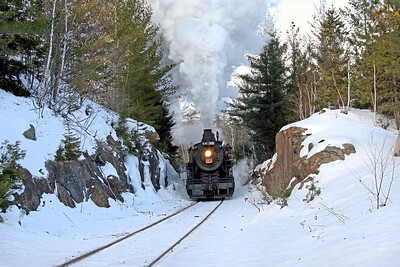 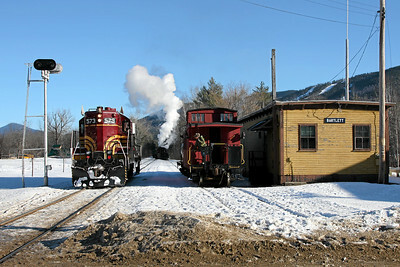 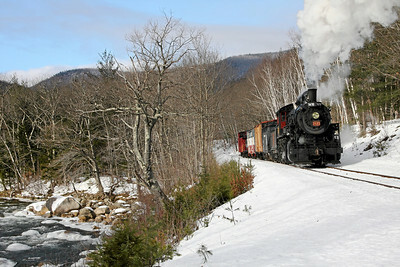 The engine received a significant overhaul between 2002 and 2006, and this was the first time since returning to service that 7470 made the 1365 foot climb through Crawford Notch.